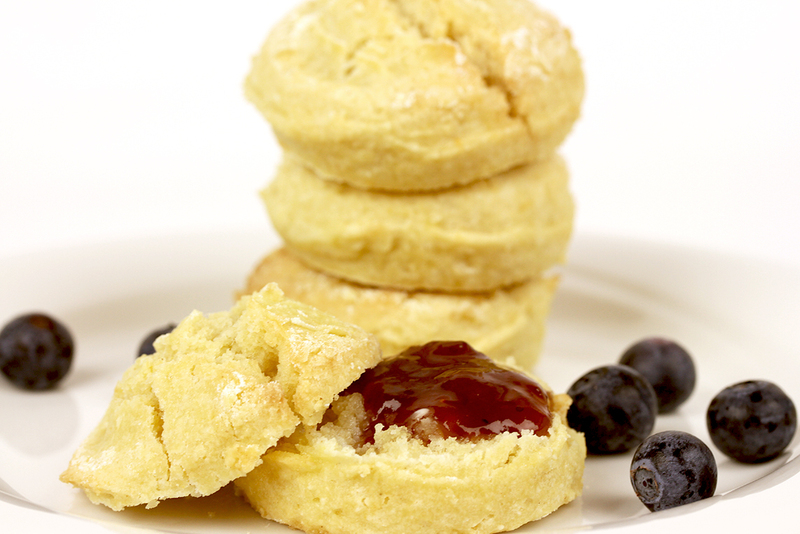 These biscuits are very quick and easy to make. You don’t even have to roll out and cut the dough if you’re short of time in the morning. It takes about 10 minutes to make the dough and another 15 minutes for baking the biscuits – the quickest breakfast recipe ever :). 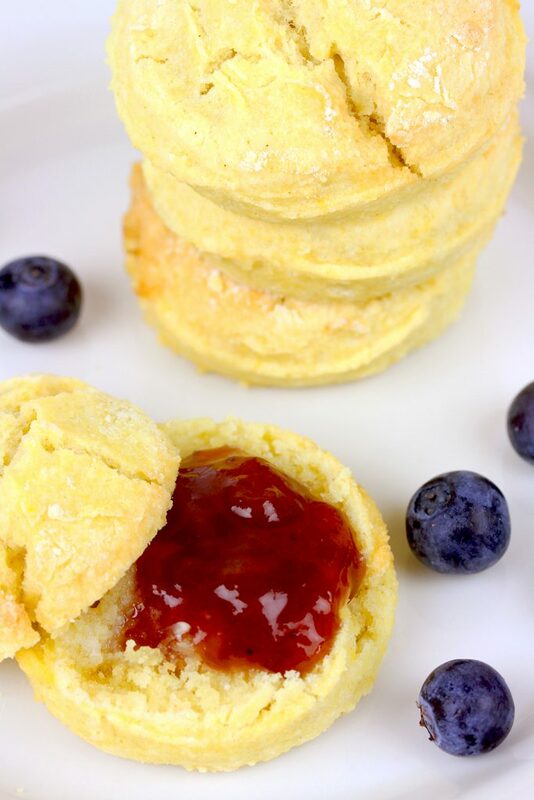 The result is very fluffy, buttery biscuits that are perfect with jam and/or vegan butter. 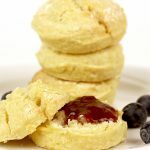 I’ve tried several vegan, gluten-free biscuit recipes before – the results weren’t very satisfying so far (too hard or too crumbly in texture). 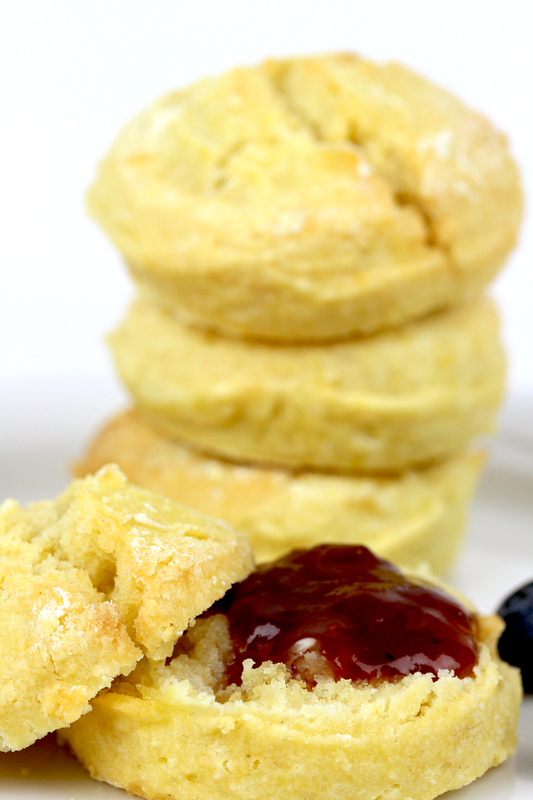 But with this recipe they turned out perfect – very light, moist, fluffy and buttery. For the flour you can use your preferred gluten-free all-purpose flour. I used a self-made mixture of white corn flour, rice flour, millet flour, tapioca starch, with a teaspoon of guar gum and psyllium husk. You can replace the vegan butter in the recipe with vegan margarine or coconut oil (for the healthier version). The recipe makes about 12 small biscuits. I ate them with strawberry jam – the perfect combination :). I still have to try them with vegan cream cheese and jam though … can’t wait for baking (and eating) the next batch :)!!! Combine non-dairy milk with lemon juice (or apple cider vinegar) and set aside. In a large bowl, combine dry ingredients and add cold butter. Mix in the butter with a fork (or use your hands) until crumbly. 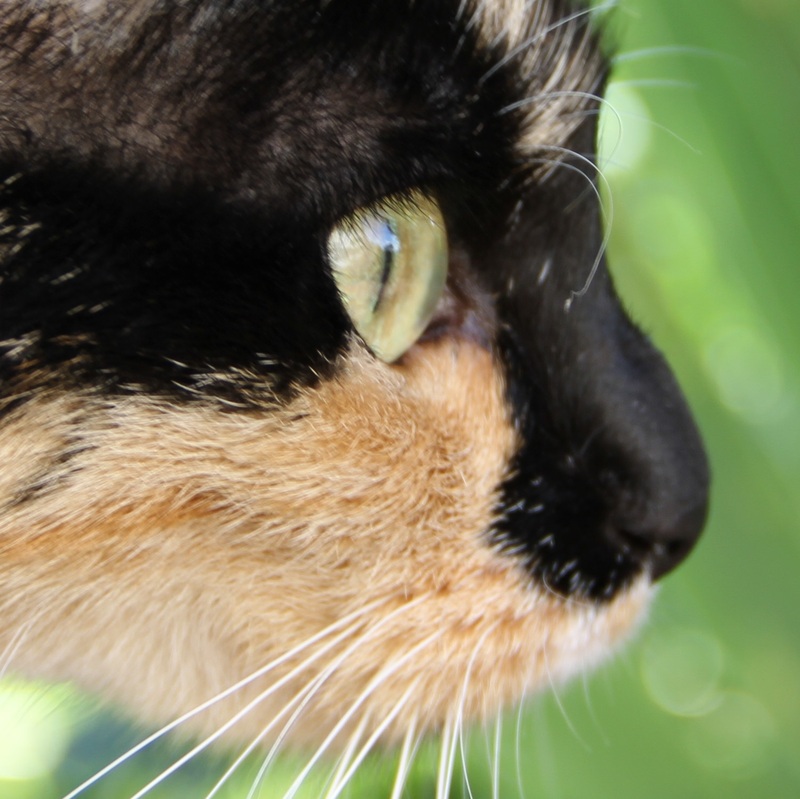 Stir in the milk-mixture until just combined. Now either drop batter by spoonfuls onto the prepared baking sheet OR: Turn the dough onto a floured surface and gently roll it out (about 1/2 inch thickness). Cut out biscuits with a biscuit cutter and transfer to the baking sheet. Bake in the preheated oven for about 15 minutes or until biscuits are soft and slightly golden brown. Serve immediately.